For those who remember the Greenmarket at the World Trade Center, a popular shopping destination from 1984 until Sept. 11, 2001, the return of the market this month is an especially welcome addition to the site. 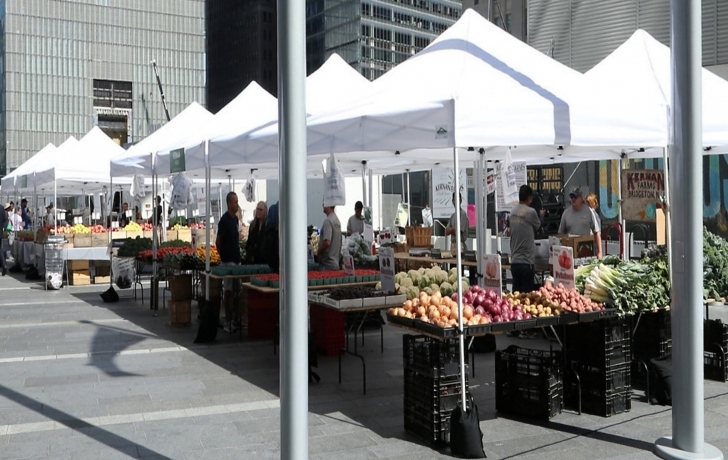 Now officially known as the Greenmarket at Oculus Plaza, the 11 farmers and other vendors set up their stands every Tuesday (except July 4) at Church and Fulton streets, from 7 a.m. to 7 p.m. They are offering local seafood, breads and pastries, vegetables, orchard fruits and juices and dairy products. A list of the vendors can be found here. While the market did return to the site briefly in 2004 and has had a run in nearby Zuccotti Park, this time around its presence is seen as lasting. "We're pleased that the market is now coming home," said Pat Foye, executive director of the Port Authority.